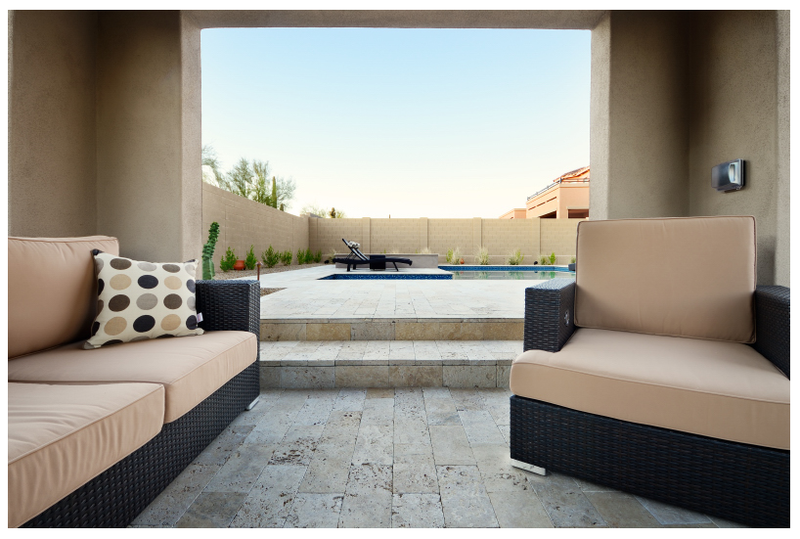 Travertine should be sealed with a penetrating sealer such as TASMAN CHEMICALS – STONE SHIELD OR ENHANCING SEALER to prevent staining and reduce soiling. 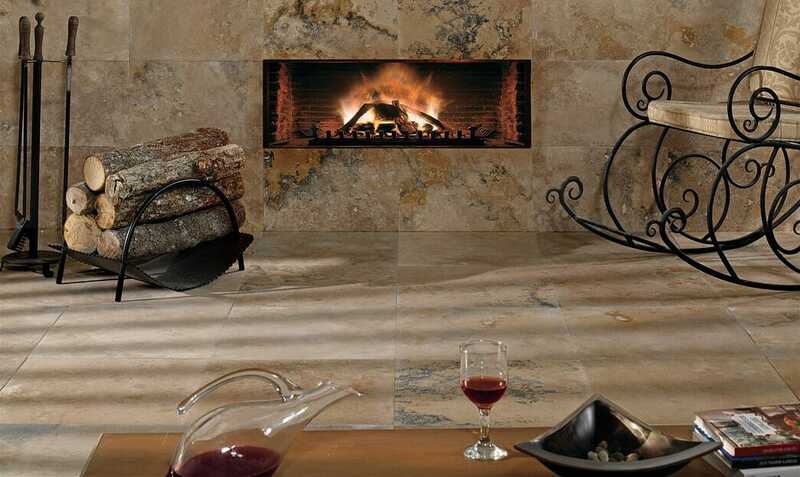 What are the DO’s and DONT’s of Travertine? 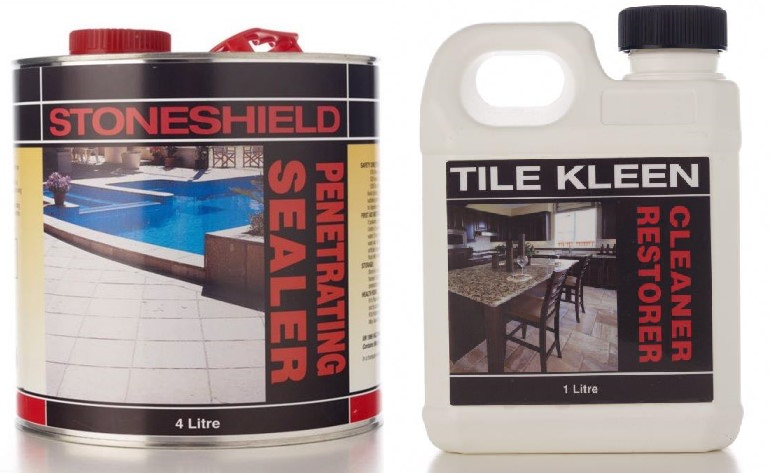 DO clean surfaces regularly with TILE KLEEN OR SLATEKLEEN Cleaner. DO use TASMANS STONE SHIELD Sealer to protect the stone. 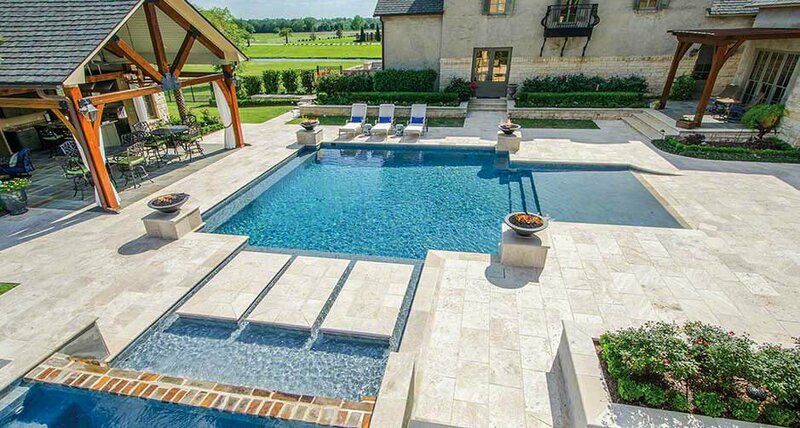 We recommend that you use care and maintenance products from TASMANS Professional series that are specially formulated to protect and enhance the beauty of your travertine. Once the stone is sealed, clean up is usually easy. We recommend that you use TILE KLEEN or SLATEKLEEN cleans with a gentle, pH-neutral formula that removes soils while reinforcing the original protective seal to help prevent future staining. Removal of oily stains is easily accomplished with TASMANS Oil and Stain Remover or for deep stubborn stains by using a poultice to draw the stain out overnight..
Fluorochemical technology, incorporated into STONE SHIELD and ENHANCED, is the most advanced technology available, providing the ultimate shield against both water and oil-base stains. The micro-molecular formula actually bonds with the stone surface to deliver unsurpassed wear resistance and durability. And because the sealer reacts with the stone, you no longer have to worry about its porosity. 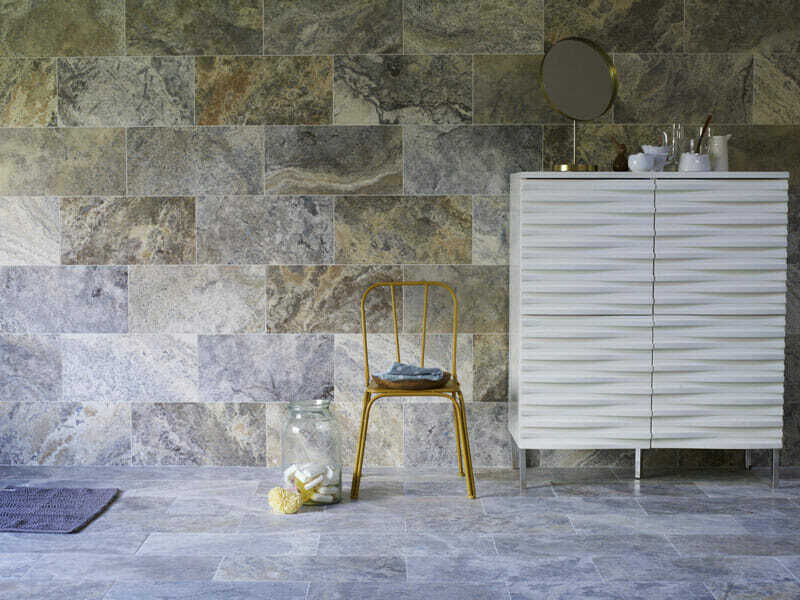 For a stubborn buildup of grout on the tile, and ONLY with tumbled and brushed surface tiles LIFTOFF can be used BUT never on HONED or POLISHED travertine tiles.